What if I'm not sure I'm ready to be a Foster Parent but I still want to help? Start with attending an information session. You'll spend an hour of your time learning about Fostering in Palm Beach County and the Foster Parent Process. You might event start classes but rest assured, a child won't be placed with you until you're ready. The foster licensing process is designed to make sure you're a good fit for the program and the program is a good fit for you. There are 8 different licensing agencies in Palm Beach County and several types of Foster Parents: Traditional, Enhanced, Treatment, Therapeutic, & we also need Respite Foster Parents. Respite parents go through the fostering process but instead of having a child placed full time with them, they fill in when a foster family needs a break, or is traveling for work, etc. 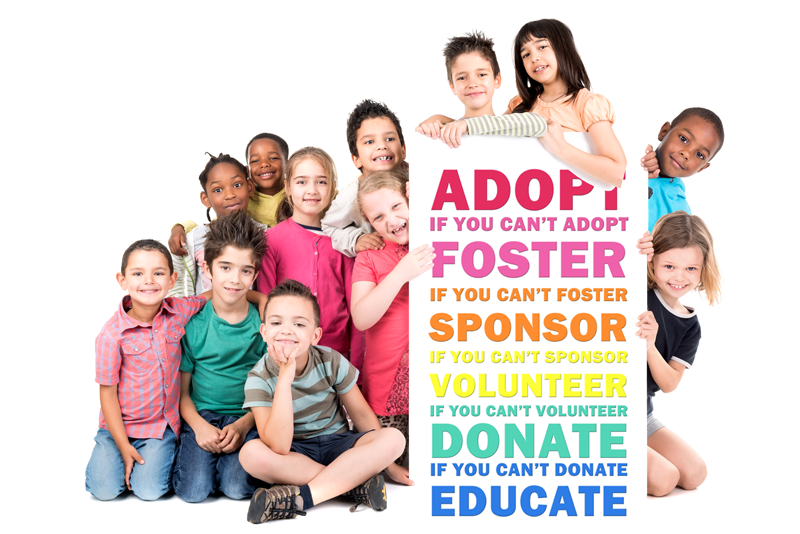 Or you might decide fostering isn't for you but you can share the info you learned or help in another way! There are many agencies who support children in the state's care. Visit www.PBCUnites.org for links to local agencies helping children in YOUR community. In addition, some licensing agencies provide "wrap-around care" with volunteers helping the family get settled with their new placement. Embrace the fact that "It will take a community effort to provide nurturing environments to effectively shift the child's direction and bring about lasting change, breaking the cycle of abuse and neglect." Adopt - Every child needs a Forever Family! Especially those teens getting ready to "age out" of the system as 18-year old adults. They need someone to offer guidance, share holiday dinners, celebrate achievements, and lend an ear when they're unsure. Visit the CHS Heart Gallery to learn more. Advocate - You could become a Guardian ad Litem Volunteer Child Advocate​ and represent the best interests of foster children in court. Donate - Kids are expensive. Recruiting is expensive. Gas is expensive. Get our drift?! So maybe you don't have time to foster or volunteer, but every donation helps us meet the needs and improve the lives of the children in our community. Foster Palm Beach is a program of Speak Up For Kids of PBC, and any financial support should be made directly on through them. Visit www.SpeakUpForKidsPBC.org to learn more. Educate - So you've learned about the critical need for foster families in Palm Beach County. Then Who Do You Know that We Should Know? Reach out to your friends to share the need, invite us to speak at your church, workplace, neighborhood, or civic group. Post flyers throughout the county, man a booth at a local event, host a coffee at your home. Surely here in Palm Beach County we can find homes for these children. No 2 year old should even be placed in a Shelter! Mentor - Our children need mentors to help them prepare for adulthood and tutors to help them catch up. Statistics show that most foster children are behind grade level. Project 18 through Children's Home Society matches mentors with youth to help them prepare for adulthood. Volunteer - Lend a Helping Hand recruiting foster families or with any of the support agencies.